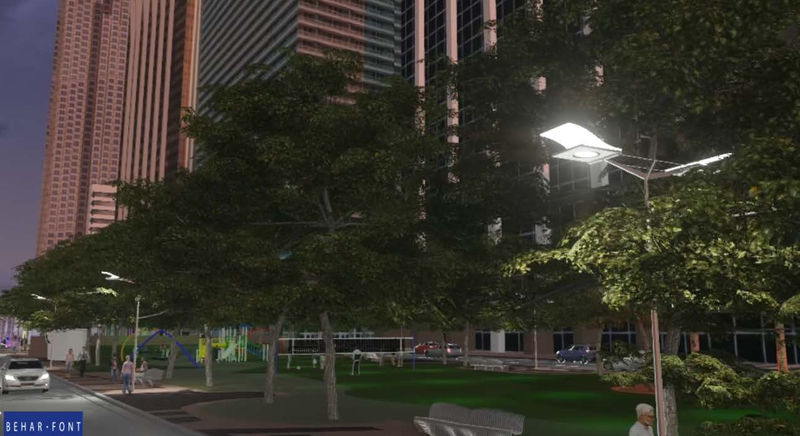 New towers seem to be cropping up in Downtown Miami every 15 minutes. 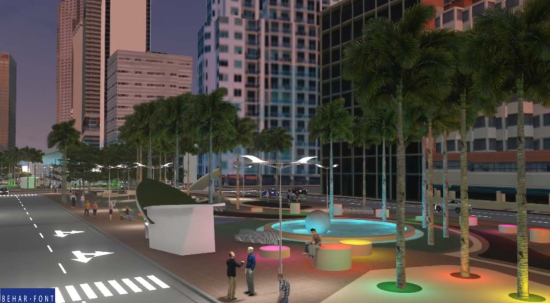 But with the growing housing supply of apartments, and the impressive Perez Art Museum by Herzog & de Mueron, the area continues to be seriously lacking when it comes to walkability and open space. 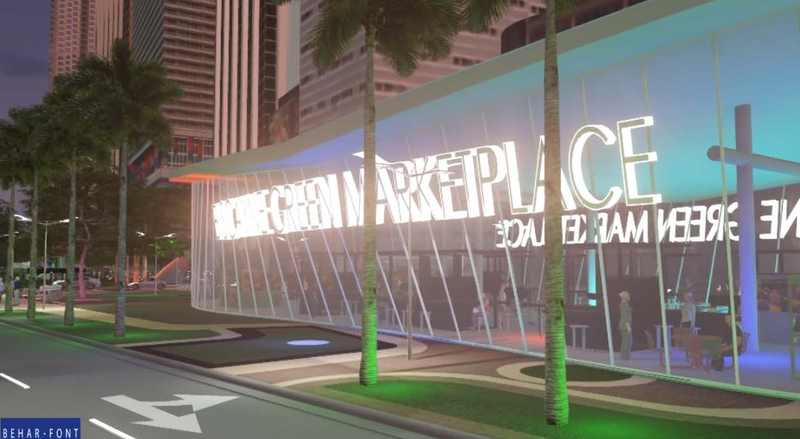 Now, that could change if a proposal by the Miami Downtown Development Authority (DDA) gets the green light. 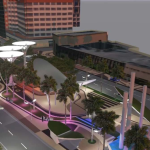 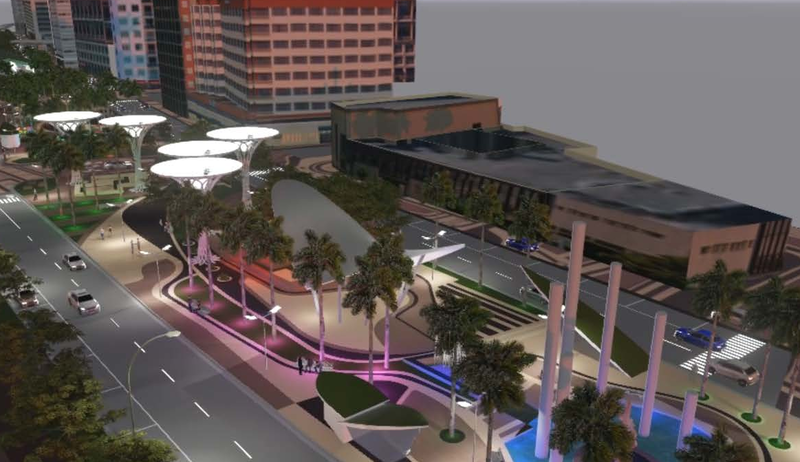 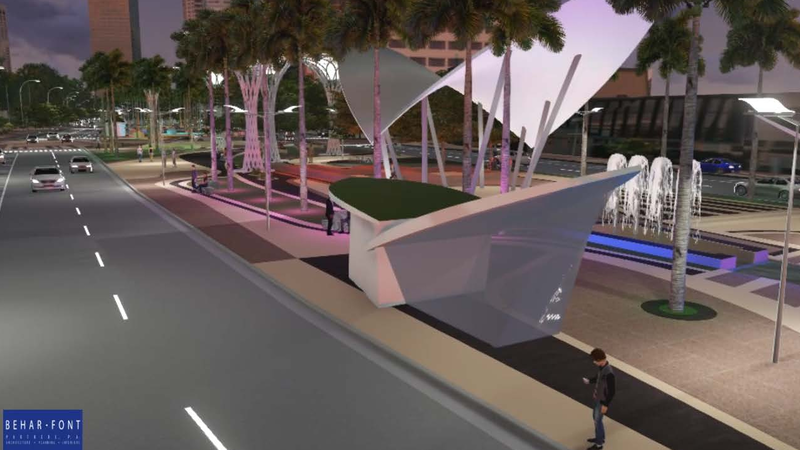 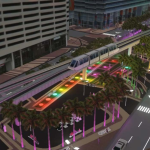 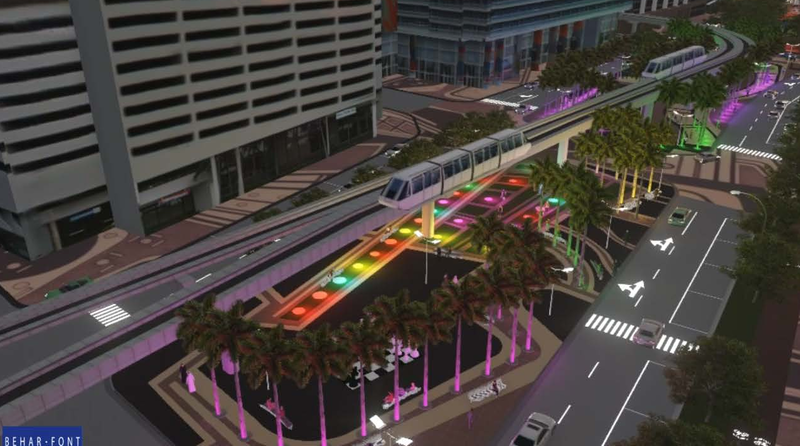 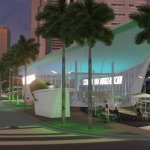 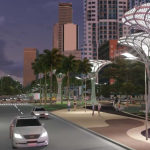 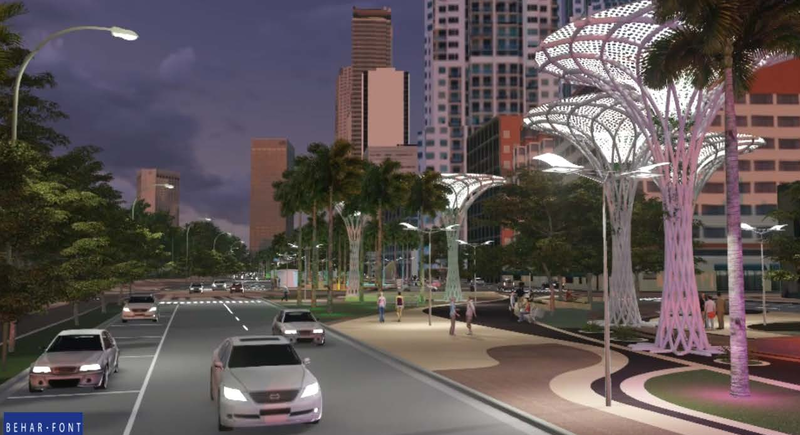 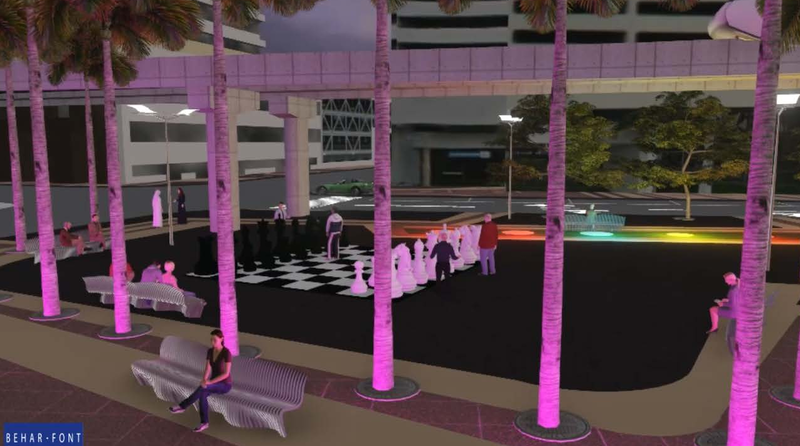 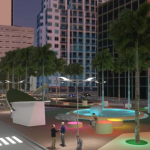 The plan, called Biscayne Green designed by Behar Font & Partners, would completely overhaul six blocks of Biscayne Boulevard—a nearly 200-foot-wide roadway that runs between downtown and Bayfront Park. 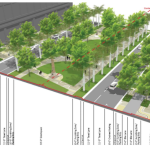 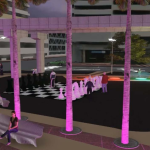 The most significant change would be replacing the existing surface-level parking lot in the middle of the boulevard with a series of parks and plazas. This linear park is intended to become a human-scaled public place that offers easy connections to the waterfront park. 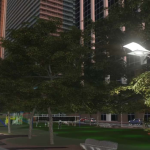 And a whole lot more. 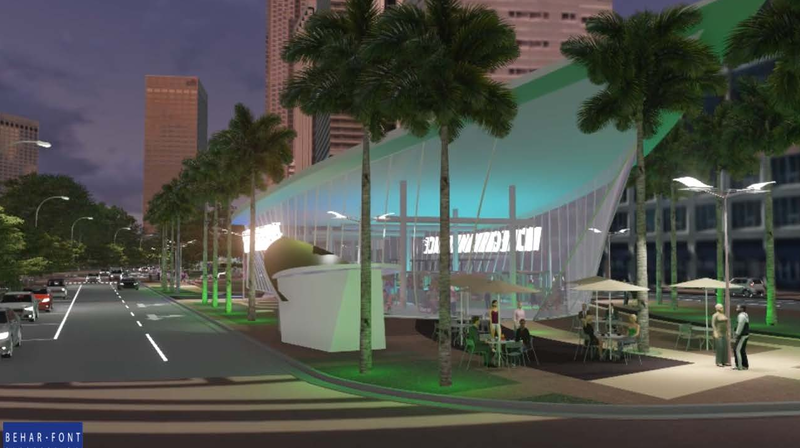 Along with the cool lighting fixtures, Biscayne Green would also house exercise areas, markets, cafes, sports courts, and retail kiosks. 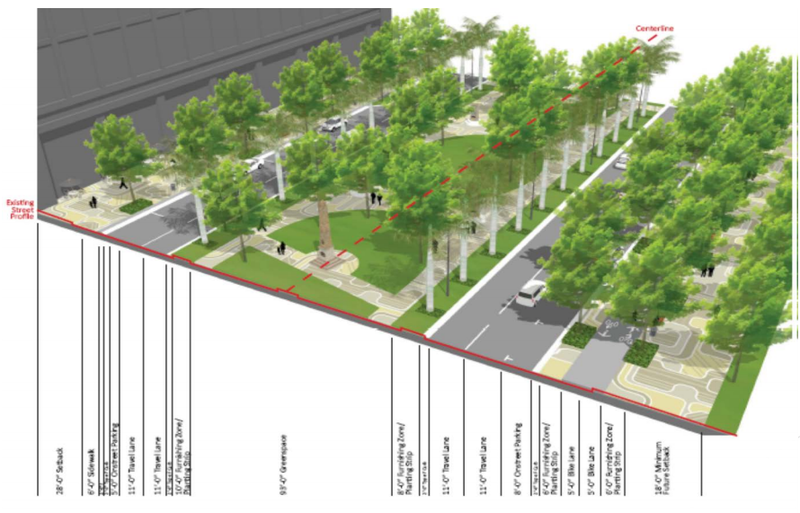 Kids would get a sandbox and their parents, a “grown-up playground.” To make room for the grown-up playground and all the rest of it, the DDA creates a below-grade parking lot. 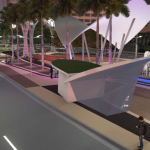 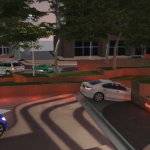 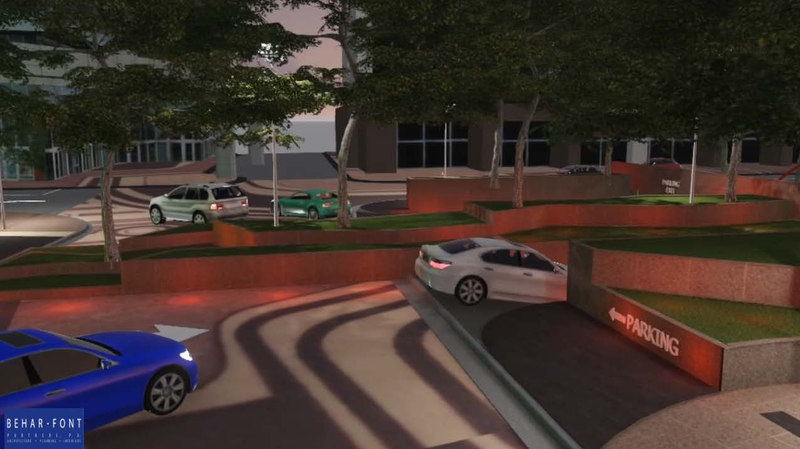 CityLab noted that while surface-level parking spots would be reduced from 400 to 200, the new subterranean lot would have space for 357 more cars, giving Downtown Miami 150 new parking space.